Most of us deal with digital images everyday and so software for batch processing of images is very useful. 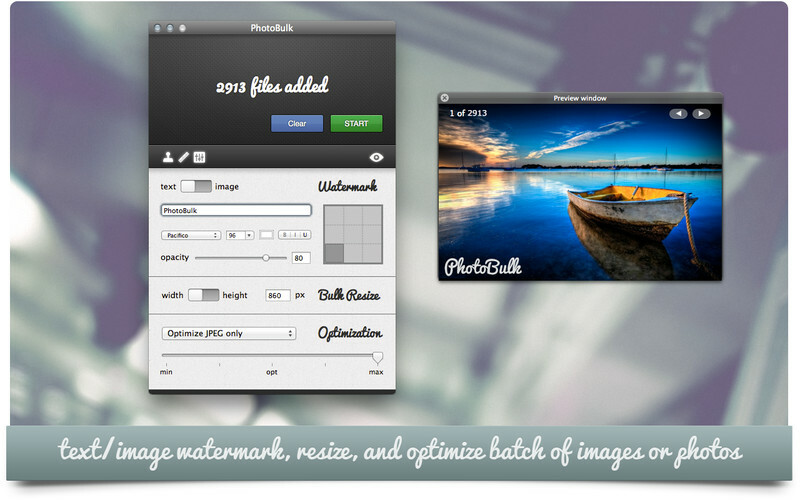 Eltima has recently released PhotoBulk, a photo management software for Macintosh. 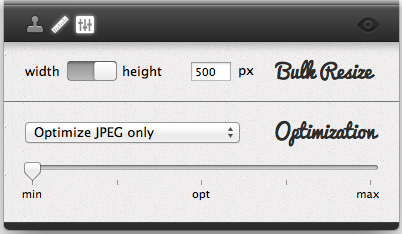 PhotoBulk helps to apply a text/image watermark, resize, and optimize batch of images or photos in just one click! Tiny interface with Drag & Drop feature. Currently it supports: JPEG PNG, GIF, BMP and TIFF image types. 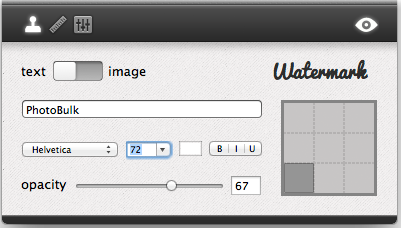 You can access Watermark, Resize & Optimization function by clicking on appropriate buttons. PhotoBulk can apply both Text and Image watermark. You can specify the position to watermark and the opacity. Additionally for text watermarks you can specify the Font Type, Color, Size and Format. It can resize images in bulk. You can change proportionally the width or height of all the added images. You can optimize file size of your JPEG or PNG images while keeping their original resolution, quality, and format. This is very useful for images you are going to share through the Internet. Please note that PNG optimization is time-consuming and works slower than JPEG compression. There are three optimization settings for JPEG files – Minimum, Optimal and Maximum. PhotoBulk has an in-built viewer for previewing before processing. Experiment with watermarks and sizes to achieve the desired results. Bulk image processing is smooth. It cannot retain embedded metadata. You will be able to open the folder once processing completes. The current version of the software is 1.0 distributed as a 2.1 Mb installer. It is compatible with OS X 10.7 or later, 64-bit processor. PhotoBulk normally costs $9.99 but for a limited time Eltima is offering the software at 50% discount. Purchase the software from Mac App Store. I understand from the various sites and reviews that this is good for watermarking images. What I would like to know is, can I also delete the watermark (for one or many images) if I so wish to delete at some later date?